John Henton – Bio, Net Worth, Daughter, Is He Married, Who is The Wife? In a world where many people are passing through sad situations on a daily basis, anyone who can make people laugh would naturally be in high demand. The king of sitcom John Henton is one person who seems imbued with more than his fair share of comedic talent. No doubt, this has been a major factor in paving his career life path. Interestingly, however, it may seem that many people who bring great joy to people as comedians, go through many sad things themselves. And people ask why. Such was the case when, in the year 2000, Henton’s life and/or career was almost cut short by an almost fatal car crash that ended up disfiguring his face. There and then, comedy met tragedy. But thankfully, all was not lost as the comedian was soon able to bounce back to continue gladdening hearts in a career that has spanned over three decades. Here, we pay attention to the extraordinary life of John Henton with an emphasis on the background influences that have shaped him. The American comedian, actor, and writer was born in East Cleveland, Ohio, on November 23, 1960. We do not have any information about his parents or family, however, available information shows that he has a younger brother named Lindsay Henton who was born a whopping 30 years after him. As per John Henton’s early education, we do not know where he went to elementary school. But his high school was at Shaw High School which is the only high school in East Cleveland School District. Did John Henton go to college? There is no information available on whether he did or not. John Henton never had it in his plans to become an actor. Neither did he ever imagine becoming a highly-sought-after comedian. Instead, he perhaps had an ambition of becoming a computer scientist. So, he was doing a nine-to-five job during the day while studying computing at night. But at work, Henton’s uncanny ability at creating witty jokes and making people laugh was more than obvious. So one day, a coworker suggested to him that he try his hands at stand-up comedy. He even suggested to him where to go, a local comedy club. Henton attended the club’s amateur night where he got the attendees inflamed with his jokes and demeanor. On the second night that he attended, he won the amateur night contest, thereby kickstarting his comedic career. John Henton began a part-time career as a stand-up artiste. He was joggling it with his nine-to-five. But that was not for quite long because he was soon to be in very high demand at local clubs. It was such that he relocated to Los Angeles by 1985 to continue his part-time comedy career. Then, by 1988, he turned professional. Three years later in 1991, Henton won the Johnny Walker National Comedy Search. This raised his prominence in the industry. It was such that he attracted the attention of the producers of a national talk show named The Tonight Show Starring John Carson. It was really a great boost to Henton’s career as he featured alongside the veteran Emmy-and-Academy-award-winning comedian, Johnny Carson. Thus, by 1993, John Henton began to appear in series and sitcoms across several networks. He started with Fox Channel’s Living Single (1993 – 1998). After that, the following sitcoms followed: The Hughleys (ABC/UPN, 1998 – 2000 and 2000 – 2002), For Your Love (NBC, 1998 – 2002), The Parkers (UPN, 1999 – 2004) One On One (UPN, 2000 – 2006) and Love That Girl (TV One, 2010). Henton was also on Disney Channel’s superlatively successful musical comedy series, Hannah Montana (2006 – 2011). 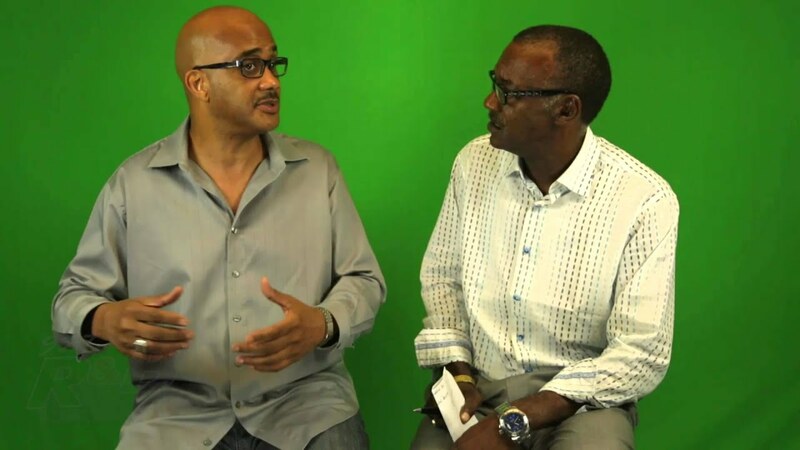 R&B FM’s Dale Murray interviews John Henton: Image source. Is John Henton Married? Who Is His Wife, Daughter? We can only find one person that John Henton was ever romantically involved with, and her name is Michele Delaney, an actress. While there is no record that the pair were ever married to each other, they appear to have been together for more than a few years now. In that time, they have gone ahead to welcome a child together, a daughter named Nicole Simone born on March 8, 2004. Apart from acting, John Henton also works as a screenwriter. So, from all these sources, he must have garnered a huge net worth that should be running into millions of dollars. So, how much is he worth? Well, surprisingly, we have not been able to lay hands on a reliable figure as his net worth.